Prayer for Relationship Restoration in Faith, Love, Blessings, Peace, Understanding & Confidence. Please pray for Maizle Costa and help her restore all her Love, faith and good feelings what she had for me and help me to be a good man to her... She says she still loves but her feelings are no more the same... Please pray for us and help our love and faith to build stronger. Bring her back to me Lord Jesus, touch her heart and restore all in her heart for me!! Help me to be HUMBLE & a better man to her, take away the anger and pride in me and help to be calmn & patient, bless me with a kind & loving heart. Touch me Lord TRANSFORM ME & bless me in my life to be financially stable & with a good job and also bless Maizle with a good job in Dubai. Father, You are the only one who can perform this miracle in my life. In Mathew 19:26 you have said "EVERYTHING IS POSSIBLE WITH YOU", Lord with all my FAITH, HOPE & TRUST I ASK YOU TO PLEASE BLESS ME WITH MAIZLE & LET YOUR PRESENCE BE UPON US. I look to You today to set a guard at my heart and my mouth for I do not want to grieve You. Forgive me for the times I have, and walk with me so closely today for I need the help of Your Holy Spirit in dealing with MAIZLE. Cover us & our Relationship with your precious blood and keep away all the evil & the satan from us & our Relationship. Please Pray for us!! 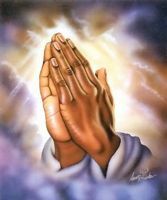 Comments for Prayer for Relationship Restoration in Faith, Love, Blessings, Peace, Understanding & Confidence. Please delete this prayer request too... I am Maizle's Uncle, it would be really great it you can keep them in your mind and pray for them as many family members have read and upset thats it is public.